Powering up your smartphone or tablet on the go is a way of life now… and if you’re going to have to recharge on the fly, you better be prepared. With an inCharge charging cable, you can have the world’s smallest charging cable conveniently clipped to your keychain, travel bag, or virtually anywhere, ready to plug into a USB port whenever you need one. Right now, you can pick up a two-pack of inCharge charging cables for just $19.99 from TNW Deals. Rather than messing with bulky backup batteries or normal cumbersome charging cables, the magnetic inCharge clips cleanly to a keychain. When you need to plug in your phone, the inCharge unclips into an inch-long, flexible charging cable, ready to either charge or sync data from a USB-enabled source. Made for portability and with an efficient, anti-tangle design, you can get this two-pack in three varieties. Choose from two USB-to-Micro USB cables, two USB-to-Lightning connectors, or one each of the preceding varieties. Keep one on your keyring and the other in your glovebox, and you’re golden. 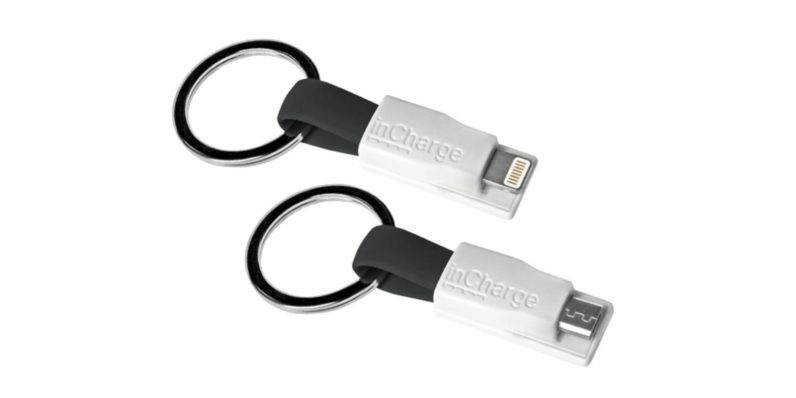 Grab this inCharge charging cable two-pack for only $19.99 from TNW Deals.